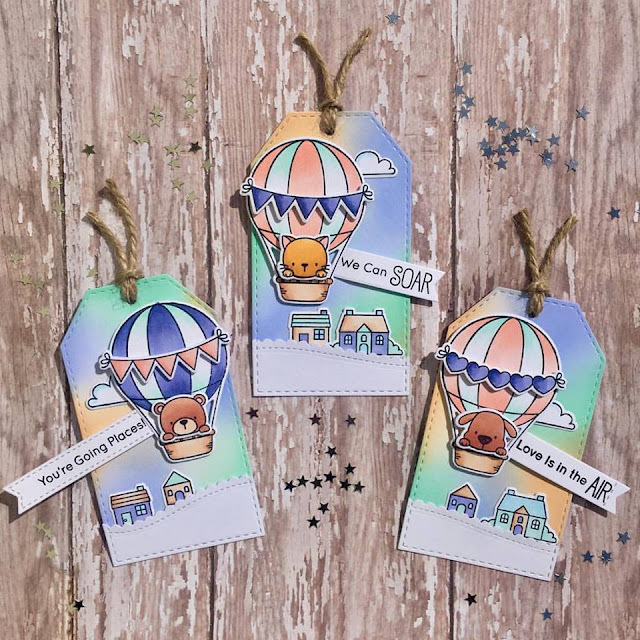 I know you're probably bored of seeing me play with these stamps & dies now but they are just so cute!! For the backgrounds I used Tim holtz distress inks & I coluored the images with Copics. Adorable! I LOVE this stamp set, can't get enough of getting inspired by others so there's no boredom here!